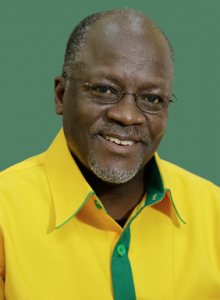 Welcome to the United Republic of Tanzania brothers and sisters of the Commonwealth family of Nations. Tanzania joined the Commonwealth of Nations since acceding to her independence in 1961. She has remained a faithful member of this organisation and an ardent adherent and advocate of its principles. The people of Tanzania enjoy and feel proud to be members of the Commonwealth. They do so because of the benefits they see and get from it. The Commonwealth creates the strength of unity. Through this organisation member states have forged common positions on issues of common interest and built a stronger bargaining voice in regional and international fora. Together therefore, we have been able to shape international opinion as well as our own opinion on some important issues of concern to all of us. Through the Commonwealth Tanzania, like many other members, has been able to get better access to markets, technology and sources of capital within our fraternity. 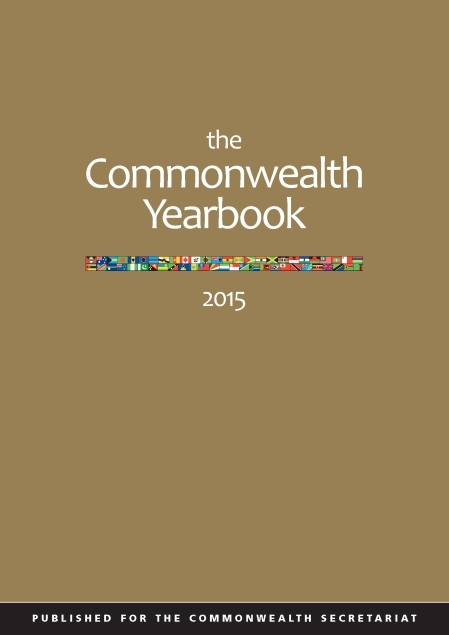 This way the Commonwealth has been a facilitative organ for promoting growth and development among member states. One can point to the good work being done, in this regard, by the agencies of the Commonwealth, in particular the Commonwealth of Learning (COL). The Commonwealth has been an important source of technical assistance for Tanzania. Through the Commonwealth Secretariat, the Tanzanian government and people have been assisted in many ways particularly in areas where there is lack of or inadequate technical capacity, expertise or experience. The support and advise extended has helped Tanzania overcome her technical and technological weaknesses. Tanzania heartily welcomes all peoples from all nations of the Commonwealth to visit Tanzania for leisure, tourism, investment and trade. Tanzania has much to offer in the tourism and leisure industries. A visit to Tanzania will surely delight and excite anyone who visits this beautiful land and meets its people. The serene sandy beaches on Zanzibar shores and the coastline of mainland Tanzania, the great lakes as well as the world-class game parks like Ngorongoro Crater, the Serengeti and Mount Kilimanjaro should give one a holiday to remember for many years. There are as well many historic sites and beautiful scenic places to comfort visitors. Tanzania has ample investment and business opportunities. Agriculture, tourism, mining, manufacturing and services such as trade, ICT and transportation present the greatest opportunities in this regard. The investment climate is permissive and the long enduring political stability presents additional incentive. Perhaps the biggest asset that Tanzania has is its people. A very friendly, warm and hospitable people who will always make one feel happy and welcome. Allow me to conclude by assuring every nation and every person from the Commonwealth of Nations that Tanzania is committed and will remain committed to the ideals and aspirations of this organization. You are welcome. Karibuni as we say it in Kiswahili. The above message was provided by the previous President Jakaya Kikwete. United Republic of Tanzania joined the Commonwealth in 1961. Untied Republic of Tanzania became an independent country on the 9th of December 1961. United Republic of Tanzania has been competing in the Commonwealth Games since 1962, and has won 21 medals during that time. Filbert Bayi took the Commonwealth Games Men’s 1,500 Metres record in the Christchurch Games in 1974. The country includes the highest and lowest points in Africa – the summit of Mt Kilimanjaro (5,895m above sea level) and the floor of Lake Tanganyika (358m below sea level). This Commonwealth funded project was to develop two national export strategies, one for mainland Tanzania and one for the Islands of Zanzibar and Pemba, to provide export development institutional frameworks. Under these frameworks, initiatives could be undertaken which improved the export performance of Tanzania and of the Islands of Zanzibar and Pemba. The Government of Tanzania was assisted, courtesy of the Commonwealth Secretariat, to develop gas based electricity generation and supply involving private sector partners. Legal, economic and technical assistance was provided to the government team negotiating with the sponsors of an integrated gas-to-power protect in the south of the country. This involved participation in several rounds of negotiation. COGs are invited by governments to observe elections in order to monitor adherence to procedures that ensure that elections are held in a credible manner which upholds democratic principles, thus contributing to a more stable political environment. A four-day seminar was organised by the Commonwealth Parliamentary Association to promote good governance and best practice. Parliamentarians who attended were introduced to best practice in other Commonwealth parliaments and provided with information and knowledge to enable them to represent their constituents’ views, promote constructive opposition and gender equality. This volunteer scheme concerned the appointment of a short-term expert, commissioned by the Commonwealth Secretariat, in order to assist the Civil Service Training Centre in implementing the recommendations of the Barnes Report and in particular to develop its business plan.